Take a road trip adventure starting and ending in “The Mile High City” of Denver. 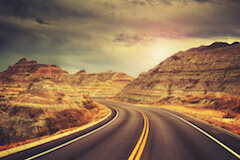 Explore mountains and desert scenery whilst ticking off 5 incredible states in all. We had such an amazing time, our best holiday!! Often ignored as people fly in and rush off to the ski slopes that lie nearby. The “Mile High City” is a fantastic all year round destination boasting 300 days of sunshine. Denver combines it's Western heritage in the Rockies with an easy to explore downtown such as around Union Station & Larimer Square playing host to great restaurants, brewpubs and bars. How about checking out a professional sports game today, home to the Denver Broncos football along with basketball, baseball and Colorado Rapids soccer team means you should be able to catch a live game. Or, you could visit the American Museum of Western Art, alternatively take a short drive just outside Denver and visit Red Rocks Park & Amphitheatre. This has to be one of the most inspiring live music venues anywhere and they host daily tours. 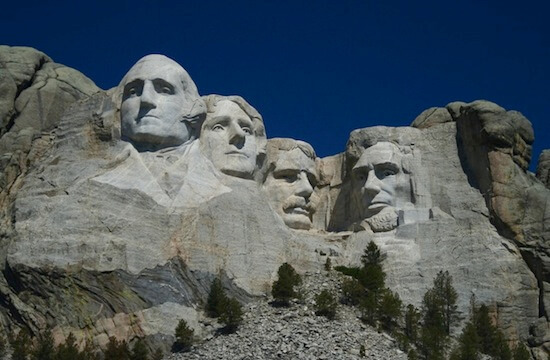 Staying in Keystone tonight, the faces of four American Presidents look out over the land they helped create. Carved out of the side of Mount Rushmore during the 1930s, this granite sculpture is the largest in the world. Famed for the part it played in the classic Alfred Hitchcock movie North by Northwest starring Cary Grant. We think this is arguably America's most underrated area. Jewel Cave National Monument, Wind Cave National Park, Crazy Horse Memorial and Custer State Park are just some of the wonderful sights and experiences found here. Want to find out what a Pigtail bridge is? Then you need to drive the Peter Norbeck Scenic Byway to the Needles and experience the hair pin curves firsthand. 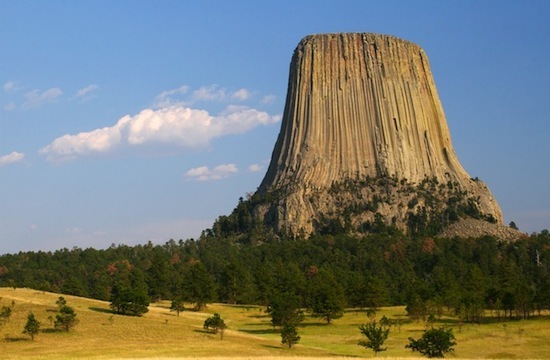 Made famous by the Steven Spielberg's 'Close Encounters of the Third Kind', Devils Tower National Monument is simply stunning and a must visit as you drive west to Sheridan, Wyoming. Keep a close eye on the tower as you can often see climbers scaling the 1,267-foot butte. Bighorn National Forest and Bighorn Scenic Byway feature more wilderness including Shell Falls, a lovely waterfall along the route. Cody is the gateway to Yellowstone National Park and an absolute gem of a town. Founded by Buffalo Bill, Cody features Western-themed events – including nightly rodeos, staged shoot-outs, parades, and pow-wows. 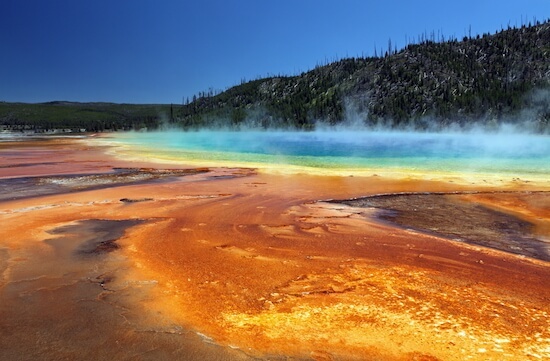 Today you'll arrive in Yellowstone National Park. This is the worlds oldest National Park. Founded in 1872, the park has millions of years of history and is home to an abundant range of wildlife including bison, bighorn sheep and bobcats. Accommodation here is really important to get right, the lodges book up fast. As with every destination we'll work hard to ensure your staying in fantastic, central locations. Head south to Grand Teton National Park today, which more than holds its own amongst its more famous neighbour. 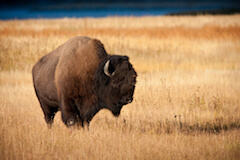 The park has a rich mix of extraordinary wildlife, pristine lakes and stunning alpine terrain. To call it beautiful would be an understatement. Grand Teton is a worthy destination for any road trip holiday, if you have a little longer for your trip this is the ideal place to add in 1 more day. 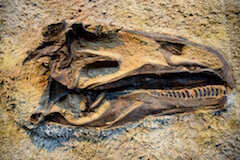 After leaving the crystal clear waters and staggering mountains of Grand Teton National Park, you'll cruise the scenic roads down to Dinosaur National Monument. Dinosaurs once roamed here and their fantastic remains are still visible embedded in the rocks. Today, the mountains, desert and untamed rivers flowing in deep canyons, support an array of life. Entering Utah fully today, you'll drive south to Moab. 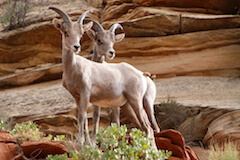 The main highlight nearby is Arches National Park, with its iconic red-rock landscape. The park has over 2,000 natural stone arches, in addition to hundreds of soaring pinnacles, massive fins and giant balanced rocks. This really is a wonderland of geological proportions not found anywhere else in the world. Be sure to catch the sunset in the park if you can. Enjoy another day in Moab. You may want to relax or possibly take in yet another National Park. Canyonlands is Utah's biggest in size and is a colourful landscape eroded into countless canyons, mesas and buttes by the Colorado and the Green Rivers. The park is explored by hikers, mountain bikers and 4 wheelers all enjoying the rugged and remote trails. 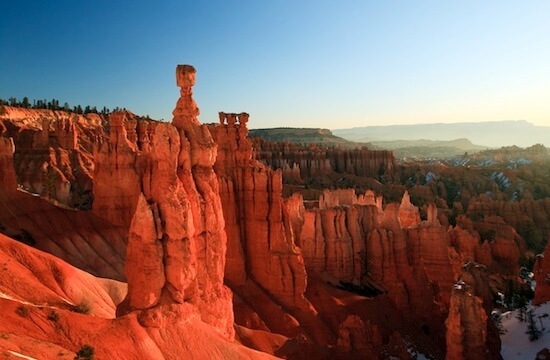 Drive west over to Bryce Canyon, famous for its unique geology consisting of a series of horseshoe-shaped amphitheatres carved from the eastern edge of the Paunsaugunt Plateau. The erosional force of frost-wedging and the dissolving power of rainwater have shaped the colourful limestone rock into bizarre shapes, including slot canyons, windows, fins, and spires called "hoodoos". Emerald pools, lush green trees, rust red canyon walls and crystal clear skies are all crammed into this narrow valley. This combination of colours is a visual delight and the park's trails offer many more. Zion National Park is one The American Road Trip Company’s favourite destinations. 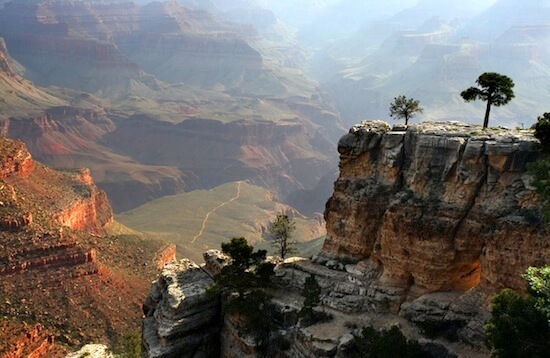 Driving south into Arizona today you'll arrive at the Grand Canyon South Rim. The worlds largest and most well known geological wonder is just staggering. Two billion years in the making, the Colorado River has forged a mile deep, 18 miles wide and 277-mile long gauge into Arizona. The ranger-led talks and guided walks here are well worth it. Amongst the red-rock is a small oasis of water at Lake Powell. The lake encircles beautiful rock formations, sandstone cliffs and even beaches. Lake Powell differs from Utah’s other wonders in that it is man-made but this doesn’t detract from its beauty. The best way to see the lake is of course on the water itself. You can hire a boat or take a guided boat trip from the Lake Powell Marina. Page is also home to the incredible Antelope Canyon - this is the most photographed slot canyon in the southwest of America. Heading east today you'll make your way to Monument Valley in Navajo Native American Territory. This magical area is an amazing experience, but particularly stunning at dawn or dusk. This movie set landscape is a thousand shades of orange and red makes this a truly memorable place to visit. En route to Durango today, Natural Bridges National Monument is a detour that would add around 2 hours more to your trip. A compact park containing 3 spectacular natural bridges spanning 180ft. This little gem is an ARTCo favourite. Mesa Verde is Spanish for green table and this National Park & UNESCO site protects nearly 5,000 known archeological artefacts showing a glimpse into the Pueblo peoples history. Originally a frontier mining town, Durango is a very popular destination for scenic beauty and outdoor activities. Famous for the Silverton Narrow Gauge Railroad, essential for the prosperity of the mining town in the 1880's this is the major attraction to the area. Historic Downtown Durango is charming, restored Victorian buildings are home to saloon's and pubs and hark back to the areas pioneer days. Old West meets Southwest. 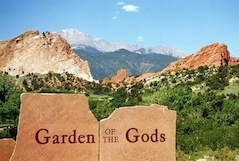 Pikes Peak & the Garden of the Gods are some great attractions to visit in the Colorado Springs area. This is an ideal location to finish your road trip from before heading north on the short drive to Denver tomorrow for your flight home. 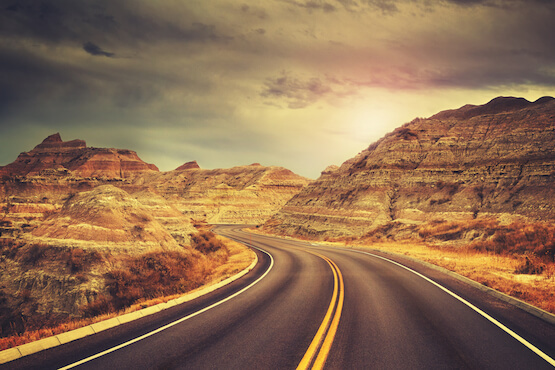 Don't forget to check out this road trip's Itinerary tab to see more amazing pictures from our ,National Park Explorer Plus'. You'll also be able to read a little bit about what you'll be getting up to on each day of this incredible road trip adventure.